Strawberries contain vitamin C, sugar, protein and other trace elements 7-10 times higher than apples and grapes. In Taiwan, many people call strawberries "live vitamin pills", while in some foreign countries they call them "magical fruit". And some people, in order to enjoy this delicacy for a long time, make strawberries into strawberry powder, packaged in bottles, preserved and eaten for a long time. And there is scientific evidence that strawberry can alleviate the symptoms of night blindness, promote intestinal peristalsis and improve gastrointestinal function. And it can also promote the growth and development of people's bones, skin and nerves, especially for the elderly and children. Strawberry also contains strong and effective antioxidants, which can effectively eliminate free radicals in human body, alleviate aging, keep brain cells active, and improve the symptoms of depression, insomnia and easy to doze. 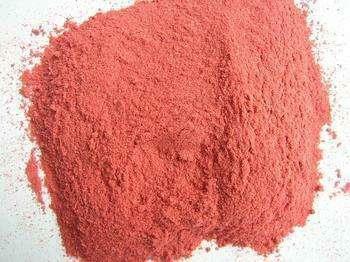 But because of the time limitation of storage, the intelligence makes this delicious and healthy food into strawberry powder. Only in this way can people eat it for a long time and achieve the goal of improving themselves.